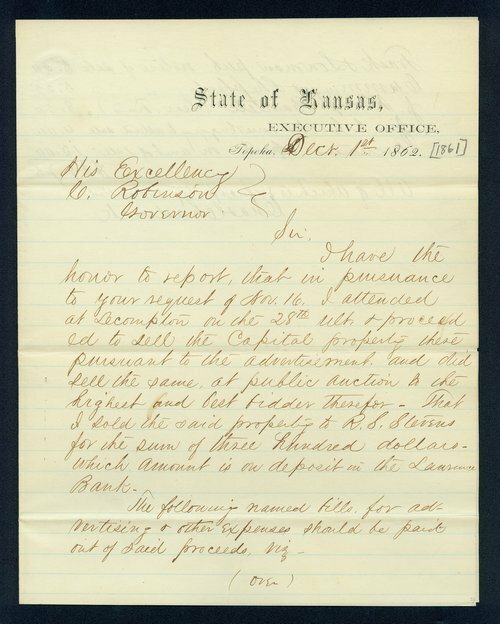 Governor Charles Robinson compiled this series of correspondence on the sale of the Lecompton Capitol in 1861. The property was sold at public auction to R. S. Stevens for $300. A complete transcription is available by clicking "Text Version" below.